The HinduA woman requests a policeman cross the road in Srinagar on Tuesday. A curfew remained in place in most parts of Kashmir for the fourth consecutive day as authorities struggled to contain protests following the killing of top militant commander Burhan Muzaffar Wani. The latest uprising in Kashmir, triggered by the encounter killing of the young Kashmiri militant, Burhan Wani, was waiting to happen for some time. The writing on the wall has been clear to those who cared to read it: that Kashmir would soon bounce back to the days of home-grown insurgency, with religious radicalisation acting as a force multiplier this time. The Bharatiya Janata Party (BJP)-led government in New Delhi, in its impatient race for power in Srinagar, did not care to read the signs, and when told, it didn’t care to listen. The Kashmiris knew that things were not going to be easy for them if the BJP were to come to power in the State, and so they voted in large numbers to keep it out. But they were in for a rude surprise when BJP interlocutors sweet-talked the Peoples Democratic Party (PDP) into believing that the “Agenda of Alliance”, that the two parties put together after months of negotiations, would be an inviolable document for political action. The PDP has since been silenced and the so-called guiding document has been cast to the winds. We are perhaps one last stop away from the Valley slipping into another full-blown insurgency: with Rawalpindi aiding and abetting it, disaffected Kashmiris being hopeless and edgy, and clueless New Delhi playing with fire throwing all caution to the winds. The EU’s complex bureaucracy has prevented it from dealing with crises effectively. In Brussels, European Union regulations seem to hold solutions to every problem. But outside Brussels, they become problematic. Their overwhelming and increasing complexity create an environment where both states and problems are treated on a case-by-case basis. This weakens the EU and consequently fragments it. Europeans fail to understand the EU apparatus, powered by an elitist distant system, and as they start distrusting it, nationalism grows. This adds to the perception that, while the EU has been dealing with multiple crises since 2008, it has done little to adapt to them. Considering that the EU was built on the premise of peace and prosperity, no one saw the need to invent ways to address conflict or poverty. It was thought that the simple existence and evolution of the union – founded on a treaty between nation-states and shaped around the idea of establishing a common market where goods, services, capital and labor could move freely – was enough. The EU was meant to remain a union of states and not evolve into a federation like the United States. Member states agreed to rules established in the Maastricht Treaty and to oversee how they are applied in practice. The European Union structurally lacks the agility to deal with crises the same way that the U.S. does. Its institutional architecture was built to accompany and facilitate national decision-making processes and support the integration of member states’ markets. The governance of national affairs has never been delegated to Brussels, even if the member states agreed to implement regulations proposed by EU bodies. EU bodies also ensure that the rules agreed to by member states are respected, so that the bloc’s overall stability and development is protected. In times of growth, this system works. In times of economic difficulty, this system hampers states’ ability to react efficiently. It is all too easy to dismiss the upsurge in violence in Indian-administered Kashmir this weekend as just another cycle in a conflict that has ebbed and flowed ever since the country's independence in 1947. But that would be to ignore a new factor that is transforming the nature of protest in the region. There's a clue to what is happening in the government's response to the threat of disorder. Burhan Wani, the young militant leader whose death sparked the latest explosion of violence, was killed in a gun battle with police on Friday. Within hours the authorities had followed what is now standard procedure and shut down mobile data services in the region, and much of the mobile telephone network too. The entire world is going through a smartphone revolution. They are the fastest selling gadgets in history, outstripping the popularity of even the mobile phones that proceeded them. And nowhere is the revolution more pronounced than in India. The EU’s approach to banks in crisis carries high risk and huge consequences. The current Italian banking crisis carries with it the possibility of bank failures. The consequences of these failures pyramid the crisis because of European Union regulations. Essentially, the position of the European Union is that the European Central Bank (ECB) and the central banks of member countries cannot bail out failing banks by recapitalizing them — in other words, injecting money to keep them solvent. EU regulations go so far as to prohibit Italy from using its state funds to shield investors and shareholders of banks from losses, unless there is risk of "very extraordinary" systemic stress. Rather, the European Union has adopted a bail-in strategy. The bail-in strategy is in theory a mechanism for ensuring fair competition and stability in the financial sector across the eurozone. It protects countries, likeGermany, from spending their money on bank failures in other countries, and keeps the ECB from printing extra money and exposing Europe to inflation that would reduce the position of creditors. The fear of inflation is remote at this moment but it still is an institutional principle of the ECB. And controlling national expenditures on banks imposes fiscal discipline on countries that seek to bail out not just banks, but the equity holdings of investors, who will lose their investment when the bank fails. The issue is this: who is considered an investor? In the view of the EU, depositors are, in cases of a bank resolution, investors in the bank. The bail-in process can potentially apply to any liabilities of the institution not backed by assets or collateral. There is some insurance available, and there are EU regulations on deposit insurance, but there is no EU-wide system of deposit insurance. This is because creditor nations do not want to share the liability for bank failures in other nations. This means that while the first 100,000 euros ($111,000) in deposits are protected, in the sense that they cannot be seized, any money above that amount can be. There is no doubt technology has aided intelligence collection and military operations in the post-9/11 years. However, many of these commercial and open-source technologies and capabilities can be used to potentially stymie military or intelligence operations, according to a Rand Corporation report. Technologies including mobile communication devices, commercial GPS and commercial unmanned aircraft have the potential to “disrupt military intelligence operations and to jeopardize the plans, actions, and security of the war fighter. 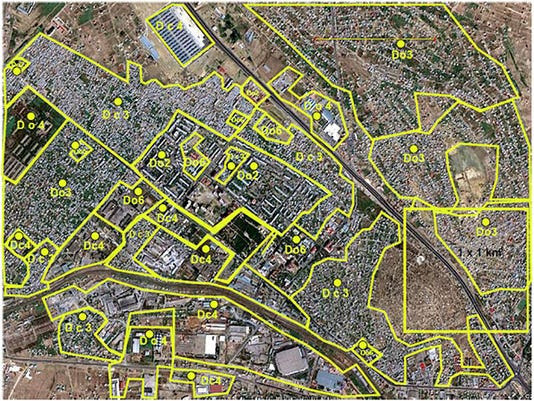 In turn, the intelligence officer, the war fighter, and others who often live and work on the margins and in the gaps of society can use many of these same technologies to skirt government control, as well as to enhance the effectiveness of their operations,” the report states. These technologies are utilized best in urban environments with the primary purpose of tracking individuals and patterns of behavior. As the bloc fragments, member states will become less committed to collective security. The effect of the European Union’s meltdown on NATO is a critical issue. Already in search of relevance for over a generation, NATO has been rendered all the more incoherent given that European nations are increasingly disillusioned with the EU. With the Continent facing the aftermath of Brexit and a banking crisis that has spread from Italy to Germany, having major European powers actively involved in NATO is becoming even less likely. And a NATO with decreasing input from European states is good news for Russia. The 2016 NATO summit in Warsaw took place at a time when Europe is in growing disarray. It was only a couple of weeks ago that Britain voted in favor of leaving the EU. While it is trying to manage the fallout from Brexit, the EU is facing major challenges from the Italian banking crisis, which has spread to the financial institutions of Germany, the EU’s economic powerhouse. We recently published a Deep Dive on how NATO has been slowly unraveling – a process that is likely to gain momentum given that the political architecture of Europe is devolving back to the way it was in the days when NATO was founded. The lack of a clear mission has plagued NATO since the 1991 collapse of the Soviet Union. Since then, NATO’s European member states have been less and less inclined to bear the costs of collective security. Considering Europe’s current massive financial constraints, there is even less incentive to do so. Well before the EU crisis reached its current alarming level, Germany, the mainstay of the EU, was trying to balance between Russia and the West, and this added to the dissonance within the Western camp over how to deal with Russia. But now that the Germans are not only facing an exporters’ crisis but also an impending bank crisis, NATO’s security interests are even less of a priority. ‘Sagara Manthan’ or the churning of the ocean of milk, is a story mentioned in the Bhagavata Purana, the Vishnu Purana and the epic Mahabharata. The story relates to the ‘Devas’ (Hindu Gods) seeking the help of ‘Demons’ (Asuras) to churn the ocean of milk, thereby partake in the ‘Amrita’ (ambrosia) to make the ‘devas’ immortal and regain their lost kingdom. However, in it is hidden symbolism and great spiritual lessons. Spirituality or self-transformation is a churning process which requires the integration of both the negative and the positive aspects. Symbolically it represents the spiritual endeavour of humans to gain immortality or liberation (moksha). The DPP 2016 is actually a document designed to facilitate the process of ‘Make in India’ in the defence sector. Bangladesh abuts India on three sides, sharing 4,096 kilometers (around 2,500 miles) of border with the Indian states of West Bengal, Assam, Meghalaya, Tripura, and Mizoram. Ever since the partition of British India in 1947, successive waves of people facing hostile conditions, persecution, intolerance, and adverse economic situations in what constitutes present-day Bangladesh have found sanctuary in India. While some of them later returned to their homes in Bangladesh, the majority chose to assimilate within India. The NEP document does not deal with the most essential component in the establishment that is known as a “school”: how to teach. The freedom to teach should be of the teacher and the authority to certify should be of the government. Teaching methods employed in most of our schools are monotonous, boring and without any practicality. Why does not the manufacturing industry come into the classroom to explain to the young folks how the dynamics and mechanics taught are useful in factories? Why does not an archaeologist gives demonstrations during a lecture session on history? If you are a teacher by profession or temperament, and you sit with a bunch of reformist activists to draft a vision document to rejuvenate the Indian education system, you are bound to come out of the session disappointed. They will talk of the school building; they will talk of the toilets there; some will mention the playground; at best, some will suggest an ideal teacher-student ratio, but none whatsoever will deal with the most essential of questions: How to teach? Narendra Modi’s choice of Smriti Irani as the Minister of Human Resource Development was surprising to say the least. And the choice of a bunch of ex-bureaucrats to recommend the recent National Education Policy was shocking. If you wish to change the face of the country, sarkari babus — the personification ofstatus quo in India — are the last class of people you should be seeking advice from. Taking into account the changing nature of threats in the emerging geopolitical scenario, India has to focus on building capacity for continuous modernisation of the Armed Forces. 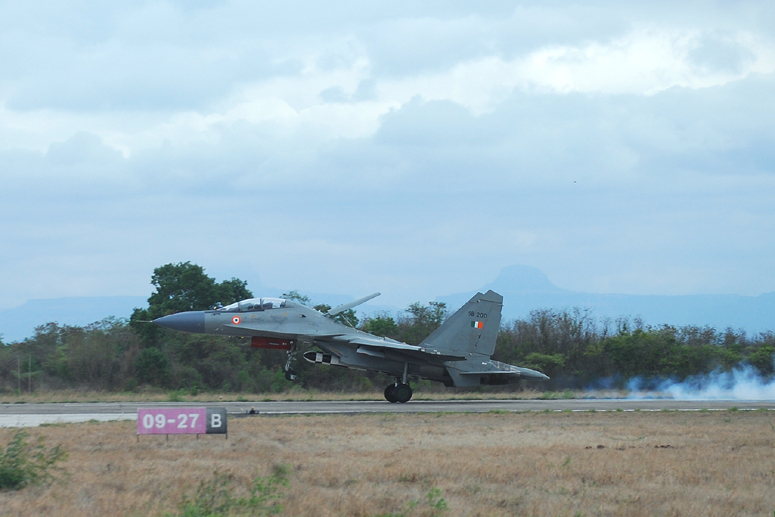 The policy priority for the Indian defence establishment should be to ensure that it maximises its indigenous production while also ensuring the availability of quality defence equipment. The developments in India’s immediate neighbourhood over the past decade have led India to take a close look at her foreign and security policies. There is a widely-sensed need for the rapid modernisation of the Indian Armed Forces, which is being reflected in some of the key initiatives that have been taken up by the Indian government so far, such as ‘Make in India’, so as to address the complex security challenges that emanate from its hostile neighbourhood. However, the pace of modernisation of the Indian Armed Forces over the years has been rather slow and, technologically, they are not where they should have been. Indigenous development of modern defence hardware continues to remain a concern, and Indian policy aspiration for defence self-sufficiency remains largely elusive. The aim of the research is to highlight how the Indian Armed Forces are responding to the emerging security scenario in the region and beyond, and to address issues in defence policy-making, progress with defence modernisation and military effectiveness. Afghanistan is transforming itself into a roundabout between two emerging economic hot spots in the next decade, connecting Central Asia to South Asia for further regional cooperation, energy transformation, trade, and transit. The Central and South Asia region is rapidly changing. The Shanghai Cooperation Organization (SCO) will soon add new members for the first time since taking its current form. China is set to invest $46 billion in the China-Pakistan Economic Corridor linking Kashgar to Gwadar and India will invest $500 million in Iran’s Chabahar port. And there are a slew of other regional connectivity projects: the Five Nations Railway corridor (linking China to Iran via Afghanistan, Tajikistan, and Kyrgyzstan) and — most importantly — the regional energy integration projects, including the CASA-1000 electricity transmission project, the TAPI (Turkmenistan-Afghanistan-Pakistan-India) natural gas pipeline, and the TUTAP (Turkmenistan-Uzbekistan-Tajikistan-Afghanistan-Pakistan) electricity transmission line. All these initiatives foreshadow significant geo-economic shifts in the near future. This creates favorable conditions for Afghanistan to play its natural role of connecting the two emerging economic zones and lift itself out of political and economic fragility. Much has been written and said about our abortive bid for NSG membership. The Ministry of External Affairs' background briefing has shed light on why we pressed for membership at this juncture, why we failed, procedural issues raised by some countries, and China’s dogged opposition. All this still leaves room for further analysis and reflection. A disquieting feature of the Seoul setback was the diplomatic victory China scored over the US, in a forum established by the US and dominated by it for decades. If China could block the US here, it does raise questions about US willingness and capacity to checkmate China elsewhere - not only in the South China Sea, but also in our region. Washington is seeking expanded commitment from India against the rising Chinese threat in the Asia-Pacific region. It should normally have reasoned that if its resolve to counter China on an issue such as India’s NSG membership - which China was opposing for purely political reasons and its unflinching support for Pakistan - was seen as weak, India would have less confidence in the tenacity of America’s rebalance towards Asia. (FPRI) — When the Permanent Court of Arbitration in the Hague issued its unanimous decision on July 12 in the case that the Philippines had filed against the People’s Republic of China two and a half years earlier, the Court set forth: a stunning repudiation of several of China’s key legal arguments and much of its real-world behavior in the disputed South China Sea; a remarkable affirmation of the core elements of US policy and strategy toward the contested maritime region and China’s claims and actions therein; and a striking assertion of the reach and capacity of international law and formal dispute resolution procedures. Yet, as with so much else concerning the South China Sea, China’s relations with its neighbors, US policy toward China, and international law, the implications of the decision are a good deal more ambiguous and ambivalent. In the aftermath of the decision, China is faced with difficult choices, the US with complex dilemmas, and international law with substantial peril. While most observers expected a significant partial victory for the Philippines, the scope and the sweeping rejection of China’s positions were a surprise. Where the Court initially had found jurisdiction over seven of the Philippines’ claims and reserved judgment on jurisdiction over seven others (and required further briefing on one other), the Court’s final decision asserted jurisdiction over all of the Philippines’ diverse and wide-ranging claims. In doing so, the Court accepted the Philippines’ artful pleading and rejected China’s contrary analysis. It was not persuaded by China’s arguments that various claims would require the Court to resolve questions of sovereignty over contested landforms (an issue that clearly falls outside the ambit of the United Nations Convention on the Law of the Sea, and which provided the basis for the Court’s authority). While war between US and China is ruled out for multiple reasons, the military balance of power dictated by military strategy chosen has direct bearings on the political choices made by nation-states in the Asia-Pacific region. The balance of power between the US and China will decide the political evolution of the Asia-Pacific region in the coming years. The concept of ASB not only implicates a shift in military strategy but also the recipient of this strategy. If the Soviet Union was the imaginary adversary during the implementation of Air-Land Battle concept in the mid-1980s, the ASB concept is meant for contingencies with respect to China. On July 12, a United Nations tribunal at Hague will pronounce verdict on a submission by the Philippines questioning the validity of China’s nine-dash line claims in the South China Sea (SCS). The case has been a staple of conversation among maritime analysts who have been riveted by its twists and turns in the past few months. Not many, however, are betting on its outcome. The problem, as many complain, is that the issues involved are so steeped in maritime legalese that anyone attempting to unravel the complexitie sis immediately engulfed in a sea of technical arguments. And yet, it is critical to evaluate the implications of the decision, for it could lead to a potential reordering of the maritime balance in Asia. The Philippines vs. China arbitration is outwardly a simple case of one state dragging another to court for unilaterally trying to press arbitrary claims by unlawful means. In January 2013, Manila filed proceedings under Annex VII of the United Nations Convention of the Law of the Sea (UNCLOS) to settle its outstanding dispute with China. 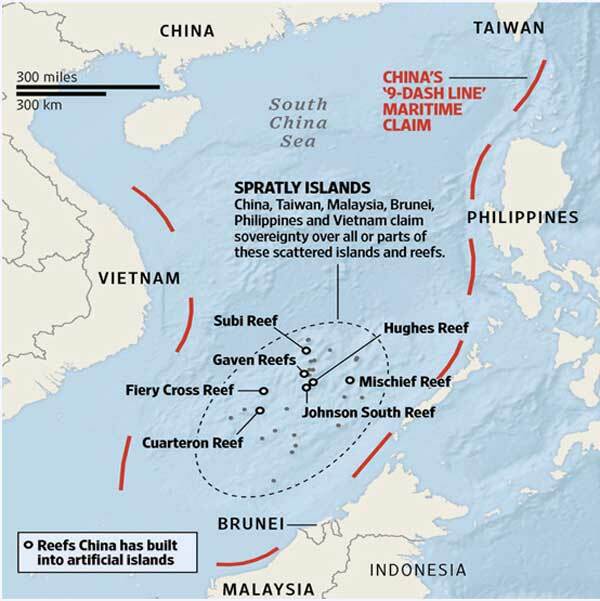 A year earlier, Chinese behaviour in the SCS had turned plainly hostile as Chinese maritime and militia forces indulging in openly provocative manoeuveres in the seas surrounding the Scarborough reef — long claimed by Philippines as an integral part of its territory. When Philippines had had enough, it decided to take China to court. China has always been something of a conundrum for India. This is partly because the Chinese are somewhat inscrutable and often enough their interlocutors can spend hours in trying to decipher the underlying message or hint or signal that is being conveyed. But partly it is also because somehow India and China have never quite managed to have any kind of strategic convergence despite not having any fundamental, much less a civilizational, conflict, with each other. Of course there is the baggage of the 1962 border conflict. There is also an element of competition between the two countries given their size and potential. Plus, there are the outstanding territorial disputes, which in a sense are relatively minor when viewed in the broader context of bilateral relations. Both countries therefore have a lot more to gain from closer cooperation than from a confrontational relationship. Which is why, the constant Chinese efforts to undermine and undercut India don't make much sense. By doing what it is doing, China only displays a rather petty and short term strategic thinking, instead of the long term, calculated planning that is often attributed to it. That the Chinese are deeply concerned over the US pivot to Asia is a no-brainer. The US rebalancing in Asia is seen by China as a strategy to constrain and, to the extent possible, contain China. Clearly, the Chinese would be loath to seeing India going whole hog into the US camp. Recent write-ups in government controlled Chinese media have, somewhat patronisingly, expressed confidence that India will retain its strategic autonomy and independence and would not become a tool in the hands of the US against China. Some of the articles, in a very condescending tone, have even advised India to refrain from badmouthing China as that's not going to make India great. Ironically, even though the Chinese would not like India to become America's cats-paw, their actions seem to be pushing India into precisely the direction China would like to avoid. Can Taiwan Withstand China's Economic Might? On May 20, in its third successful transition of presidential power between parties and best sign yet of a mature and stable democracy, Taiwan inaugurated its new president, Tsai Ing-wen. To the consternation of Taiwan’s electorate—and under the radar of much of the rest of the world—President Tsai’s inauguration speech has triggered a significant escalation of Beijing’s non-kinetic “three warfares” campaign against the island. Beijing’s clear goal in using intense economic, legal and psychological pressures—the three warfares—is to bring it to heel. Over the last week, I met with a variety of government officials, business leaders, politicians, academics and journalists in Taiwan to discuss a situation that is far more serious than is being reported in the western press. In a three-part series for the National Interest, I will look at the economics, politics and policy implications of the escalating cross-strait crisis. The economic situation is important not just because Taiwan’s weak economy makes it highly vulnerable to pressure from its major trading partner. Slow GDP growth and attendant zero wage growth are also prime movers behind the landslide victory of a new president offering Taiwan’s citizenry the hope of a national Taiwanese identify, a continued de facto independence from China and a decoupling of Taiwan’s economic fortunes with that of the mainland. In recent weeks, China has announced—many times—that it will ignore the ruling of a panel convened by the Permanent Court of Arbitration inPhilippines v. China. The decision from The Hague is expected in a few hours. The case will, among other things, determine the legal status of a handful of land features in the contested South China Sea. Yet China’s anticipatory repudiation has significance far beyond the matters to be determined by the panel. In short, Beijing, with its declarations that it will ignore the court’s findings, looks set to put itself outside the international community. That community now needs to think about what it will do to defend the systems of laws, resolutions, pacts and treaties that make up the world’s rules-based order. Nations, in general, should begin imposing costs on China for its renegade stance. The Philippines, as a signatory to the UN Convention on the Law of the Sea, brought the action in 2013, just months after Beijing seized Scarborough Shoal. The shoal, 124 nautical miles from the main Philippine island of Luzon, guards the strategic Manila and Subic Bays and was long thought to be part of the Philippines. Asia Maritime Transparency Initiative map of the UN tribunal ruling. WASHINGTON: “To a surrounded enemy, you must leave a way of escape,” Sun Tzu wrote 2,500 years ago. It’s a stratagem – often called the “golden bridge” – that the US and its allies would do well to remember tomorrow morning, when a UN tribunal will almost certainly deliver China a legal and political defeat. [UPDATE: The tribunal did indeed rule unanimously in favor of the Philippines on almost every point, even denying China’s Nine-Dash Line claim to historical rights over the entire South China Sea.] Chinese nationalists will stridently demand retaliation. We need to give Xi Jinping room to deescalate instead without losing face, analysts say. The US should continue military patrols in the region, including Freedom Of Navigation Operations through disputed waters, “but they don’t have to be publicly announced,” Glaser said. That stands in stark contrast to several recent, high-profile FONOPs much discussed in the media and in Congress. Is China mimicking U.S. and Soviet Cold War strategic behavior by modernizing its DF-5 and possibly its DF-41 ballistic missiles to carry multiple independently targetable re-entry vehicles (MIRVs)? The U.S. Department of Defense annual report to Congress on China’s military and security developments suggeststhis may be the case. According to the Pentagon, China’s deployment of MIRVed missiles and its broader missile modernization efforts are intended to strengthen its ability to counter U.S. and Russian missile defense systems while providing a hedge against Indian defense modernization. But some Chinese nuclear experts believe otherwise. Professor Li Bin, a prominent interlocutor in these debates, claims, for instance, that Beijing is using decoys and other BMD countermeasures, but not MIRVs. Whatever the reality, the perception that China possesses MIRVs works in its favor. New Delhi, fearing that China could be on the verge of a counterforce capability, could be provoked into abandoning its characteristic restraint. Such were the fears the Soviets had about strengthened U.S. strategic capabilities when the latter started MIRVing in the early 1960s, which led to an escalated arms race between the two Cold War rivals. It is likely that we will see a repeat of this pattern whereby the same fears will be felt by India vis-à-vis Chinese MIRVing and by Pakistan vis-à-vis Indian MIRVing. Since early 2015 ISIL (Islamic State in Iraq and the Levant) has lost over half of the Iraqi and Syrian territory it seized in 2014. ISIL income for Syria and Iraq has been cut nearly 60 percent as well. In 2016 personnel losses have been heavy as well meaning there is little hope moving reinforcements into Syria or Iraq. ISIL is under the most pressure in Iraq but Syria is no longer a safer place for ISIL men to flee to. The growing number of ISIL deserters provide more details about what is happening in ISIL controlled territory. The increasingly effective air strikes are indeed happening because of more local informants as well as relaxed ROE (Rules of Engagement that now ignore the use of human shields). The aerial bombings have more frequently hit ISIL leaders and caused a lot more ISIL casualties in general. ISIL leaders are, at least according to deserters, often visibly uneasy and some have been publically executed for various failings. Lower ranking ISIL men are worse off, in part because of reduced pay (or no pay at all) and even essential supplies like food and ammo are not always available. The more frequent use of public executions is driving more ISIL fighters and support personnel away even as it becomes more difficult and dangerous to leave. Most ISIL controlled territory is in eastern Syria and western Iraq (Anbar province). Both these areas have a largely Sunni Arab population but are also mostly desert or semi-desert. Most of the population is concentrated in or near towns and cities along the few rivers. Aside from Mosul in northwest Iraq, ISIL has not been able to take and hold large cities. Mosul is expected to fall before the end of 2016. Maps depicting just population controlled by ISIL show this control extending along rivers and main roads in the midst of large, thinly populated, areas that are either controlled by no one or held by people unfriendly to ISIL. Most people in ISIL occupied towns and cities are hostile to their rulers and want to flee but ISIL has made that increasingly difficult because the urban areas they controlled were becoming depopulated. The extremely confused land war against ISIS in Syria and Iraq continues to grind on, with the current situation trending somewhat against ISIS in Iraq, less so in Syria. The Russian intervention has bought the Assad regime at least an improved stalemate, with the Assad regime consolidating their position in their western Syrian bastion (although their hold on that may still be uncertain) and regaining some ground, especially around Palmyra in the south. (However, their attempt to expand toward ISIS’s Syrian ‘capital’ of Raqqa has evidently failed.) While Assad has gone through the motions of negotiating there is no reason to believe he has abandoned his past announced intention to militarily crush the rebellions. (This is, after all, the preferred method in the region, since the aim is not just to defeat current rebellions but to intimidate the survivors—the claim that you can’t kill your way out of an insurgency being Western thinking.) Continuing Russian-supported offensives by Assad-aligned forces, including nonSyrian Shia jihadi militias such as Lebanese Hezbollah, have--at least for the moment--isolated Aleppo. The Russians are supposedly committed to support the Assad regime’s intended reconquest of the city. While the Kurdish YPG and its screen of allies in the Syrian Democratic Forces, who have continued to make ground advances against ISIS, occasionally talk about advancing south to Raqqa, they recognize doing so would probably be extremely difficult and costly, and it is more likely their major concern is consolidating a Kurdish-controlled region along the Turkish border with Syria. In Iraq, the partially rebuilt Iraqi Security Forces and their allies, having retaken Fallujah, are in what is probably at most the preliminary phases of preparing the ground for an offensive to retake Mosul., While the Iraqi Kurds have announced they are ready to take Mosul, they are waiting for Iraqi Security Forces (ISF) support for what they expect to be a very bloody battle., Meanwhile, the Iraqi Government is struggling to avoid collapse due to political infighting. In all likelihood, the Battle for (or, more likely, the prolonged siege of) Aleppo will be the major battle in the Syrian Civil War for the foreseeable future. However, the Battle of Aleppo is not likely to be a decisive battle in the war against ISIS. Most of the opposition forces there are either from Jabhat an Nusra (Al Qaeda’s Syrian branch) or other non-ISIS factions. There is no reason to believe ISIS will commit major forces to the battle—they will undoubtedly prefer to let their enemies fight while preserving their own strength. The Islamic State has marked the end of the Islamic holy month of Ramadan with a global wave of terror. Its attacks in Istanbul; Baghdad; Dhaka, Bangladesh; and at multiple sites across Saudi Arabia have claimed hundreds of lives. These attacks follow a landmark mass-casualty shooting in Orlando, Florida, by a gunman who answered the Islamic State’s call to attack the United States directly. U.S. special envoy Brett McGurk has called the Islamic State’s recent attacks a sign of weakness, spurred by its mounting losses in Iraq and Syria. “ISIL and its leaders have retreated to the shadows,” he testified recently, using another acronym for the jihadist group. In fact, the opposite is true. The Islamic State’s attacks prove that, despite its recent losses, it remains strong and capable of executing its global strategy to undermine modern states, expand as a caliphate, and spark an apocalyptic war with the West. The United States will fail to defeat the Islamic State and protect the homeland if it does not reframe its strategy to contend with the Islamic State globally, rather than focusing on tactical successes in Iraq and Syria. The Islamic State’s strategy is both local and global. The group pursues interlocking campaigns across multiple geographic areas: Its local strategy in Iraq and Syria is to remain in control of terrain as a caliphate, while its regional strategy is to expand that caliphate across the Middle East by incorporating more fighting groups, which will allow it to further destabilize states and gain control of more terrain. Its global strategy, meanwhile, is to set the conditions for an apocalyptic war with the West, first and foremost by polarizing societies to be for or against Islam. Commonplace commercial technologies can be combined and used in unique ways to reshape an urban environment and disrupt how we live and work, in the United States and abroad. The technologies are not new but are becoming ubiquitous and are being used in new ways. The technologies highlight a democratizing trend that gives more people the freedom and power to use any number of new, commercially available technologies to innovate and to challenge existing government rules and community practices. This democratizing trend, however, comes at a cost to privacy, security, and secrecy and is changing the way people interact socially and politically. It is changing the way we conduct business, diplomacy, intelligence operations, and war, the future of which is likely to be increasingly urban in nature. In the second nuclear age, no less than the first, there are no realistic prospects for banning multiple-warhead missiles. China has started to deploy such missiles, and India and Pakistan are likely to cross this threshold as well. The motivations behind these steps will determine how extensively nuclear arsenals will grow and how pernicious the effects of stockpile growth will become. Success in dampening the negative repercussions of multiple-warhead missiles will rest on two foundations. The first is improved bilateral relations among the contestants. The second foundation for dampening the negative consequences of multiple-warhead missiles in Asia is to resist a progression from countervalue to counterforce targeting strategies of nuclear deterrence. This metric, as with the willingness to improve bilateral relations, is measurable in several ways, including: the retention of no first use doctrines by China and India; proceeding slowly with limited numbers of multiple-warhead missiles; and being more transparent about strategic modernization plans and programs. If the growth of warhead totals and missile accuracy presages moves by Beijing and New Delhi toward warfighting strategies of deterrence, then the second nuclear age will become far more dangerous, and prospects for reducing the salience of nuclear weapons on international affairs will be undermined. If decisionmakers in China, India, and Pakistan wish to avoid repeating the missteps of the United States and the Soviet Union during the first nuclear age, they will limit the extent to which multiple warheads are placed atop missiles, they will proceed at a slow pace, and, most important, they will reject the lure and pitfalls of counterforce targeting strategies. The military conflict between Russia and Ukraine is now in its 25th month. What began as a relatively bloodless superpower intervention in Crimea and morphed into a proxy “separatist” insurrection in the Donbass region has turned into a two-year-long, real war. Despite repeated attempts to negotiate an effective cease-fire, the struggle in Ukraine has involved the largest-scale battles in Europe since the end of World War II. Like the Yom Kippur War 40 years earlier, the Russo-Ukraine War is a natural “test bed” and insightful glimpse of what is to come on future battlefields. What follows are 10 of the most critical lessons the U.S. Army must learn from this conflict as it emerges from 15 years of counterinsurgency operations and turns its attention once again to a near-peer threats. New-Generation WarfareIn this complex and uncertain world, Russia represents a real threat, to real allies, on real terrain. Though Russian President Vladimir Putin’s intentions might be unknowable, we do know what his game plan is. It’s called “new-generation warfare,” and it targets Western weaknesses, not strengths. New-generation warfare differs from Western views of hybrid conflict in that it combines both low-end, hidden state involvement with high-end, direct, even braggadocio superpower involvement.